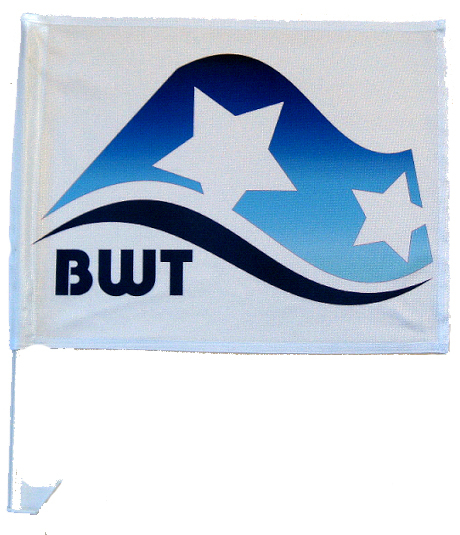 White 100% polyester car flags with a large print area for your personalised picture / logo. Supplied with plastic fittings. Not suitable for high speed driving. Size 30 x 40 cms.